Letter to Martha Berry from W. A. Gray explaining that he is going to do everything he can to help a girl attend the Berry Schools. His donation is specifically for Charley Claxton's sister. W. A. 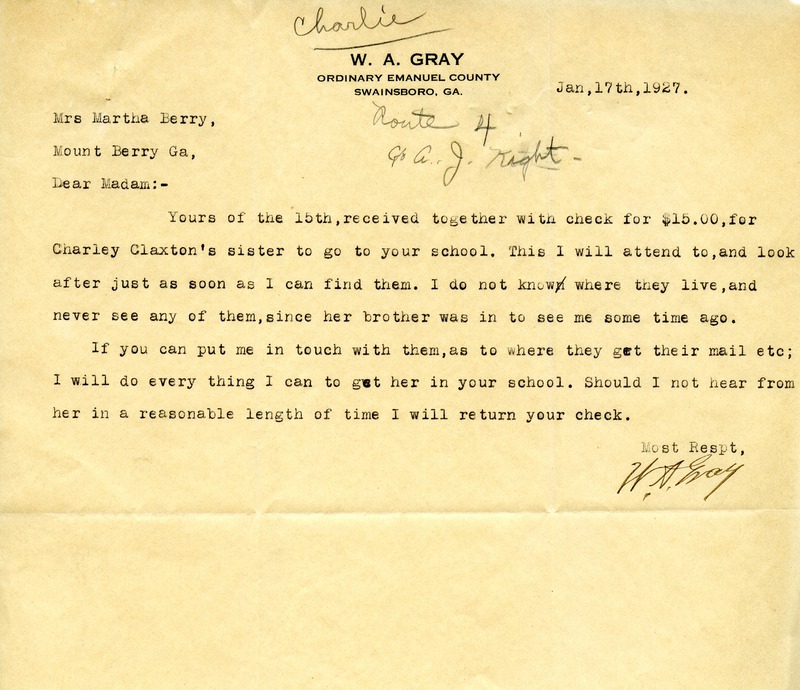 Gray, “Letter to Martha Berry from W. A. Gray.” Martha Berry Digital Archive. Eds. Schlitz, Stephanie A., Austin Amandolia, et al. Mount Berry: Berry College, 2012. accessed April 25, 2019, https://mbda.berry.edu/items/show/4099.